More people are making a personal choice to move away from disposable products. 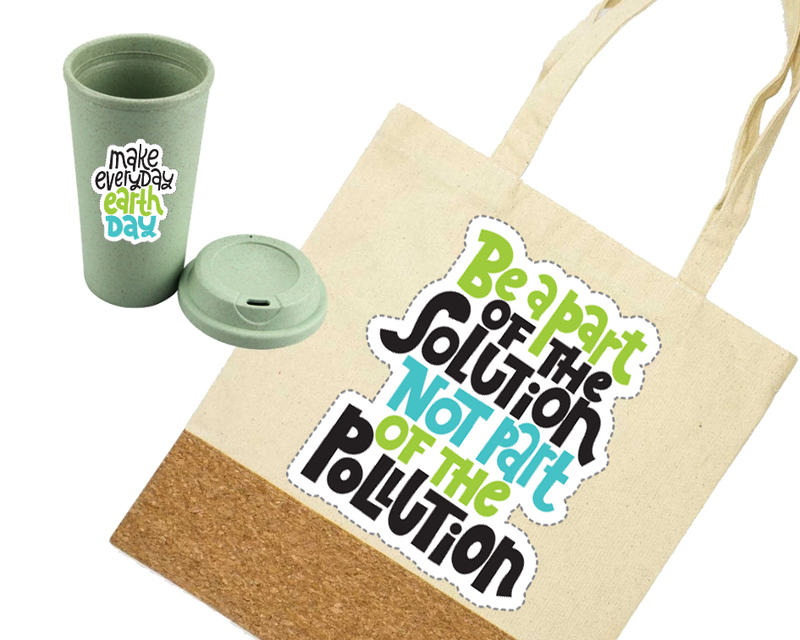 A great way to improve brand perception, is to demonstrate your eco-commitment with smart and sustainable merchandise choices. The re-useable takeaway cup has already proven a hot item. Go one step further with renewable and biodegradable materials like bamboo and rice husk. 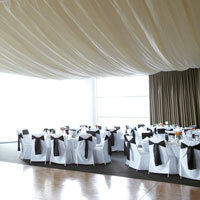 Choose colours or let natural earth tones show through. Brand the cups or add more colour with silicon bands. Reusable cup fans are everywhere, but we can now see the emerging trend of packing all things reusable for your meal on the go. Compact cutlery and EVA lined food wraps, that are hygienic and lightweight. Stainless Steel straws are perfect for grabbing a juice or even fast food pitstops, with retractable styles and even colourful silicon straws on offer. Get your brand or message on these and get seen in just about any setting! Bags are an event staple, offering great brand exposure and retention. The cheap and colourful non-woven bags, while reusable, are not the best choice. 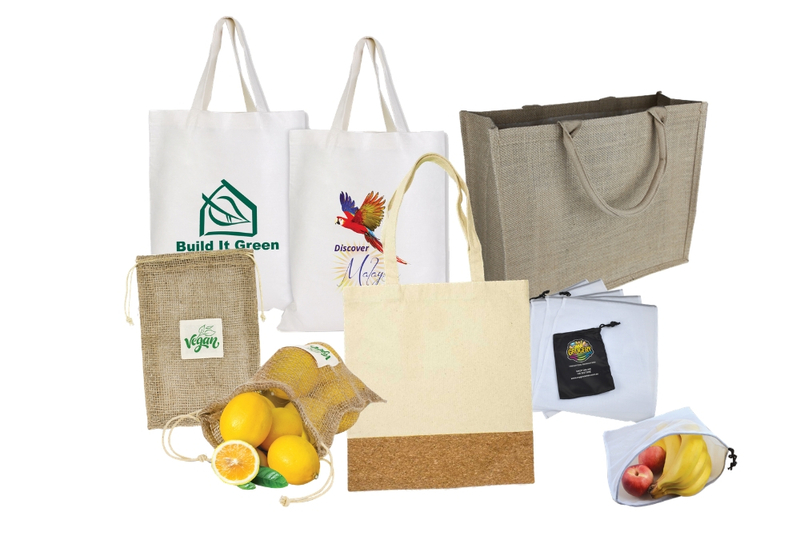 Jute bags are biodegradable and compostable. For those wanting a less ‘rustic’ look, bamboo, like jute, is a natural renewable source and can be a stylish and versatile bag material. 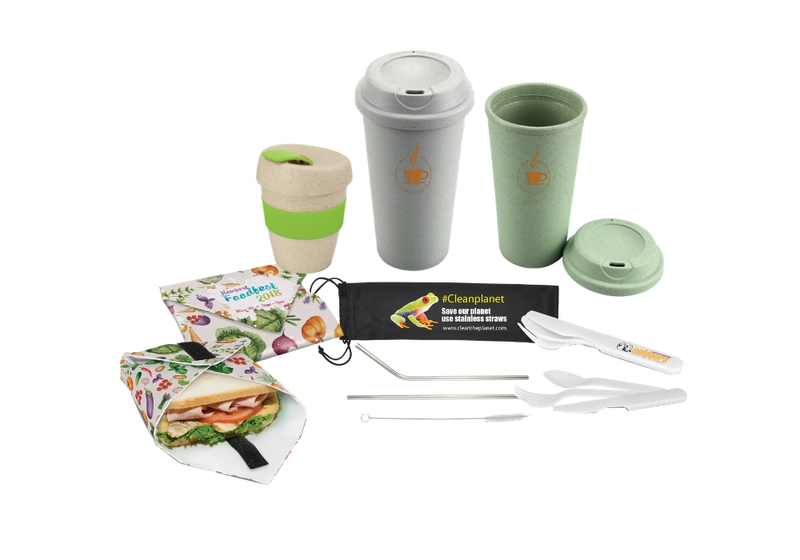 When making sustainable choices, even the most common promotional merchandise suddenly has a wow factor. Like stone notebooks! Pens made from discarded wheat husk (rather than plastic barrels)! 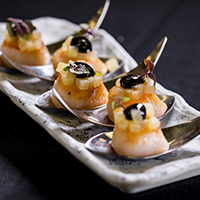 Don’t forget to point out these eco-credentials (not just to for the feel-good praise), but to educate and promote the ever-growing range of sustainable options available. 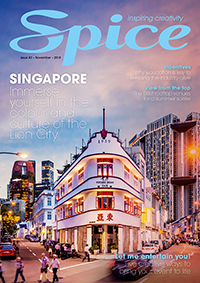 Spice News Offer: Visit *here* to claim free setup and freight on featured sustainable products! Terms and conditions apply. 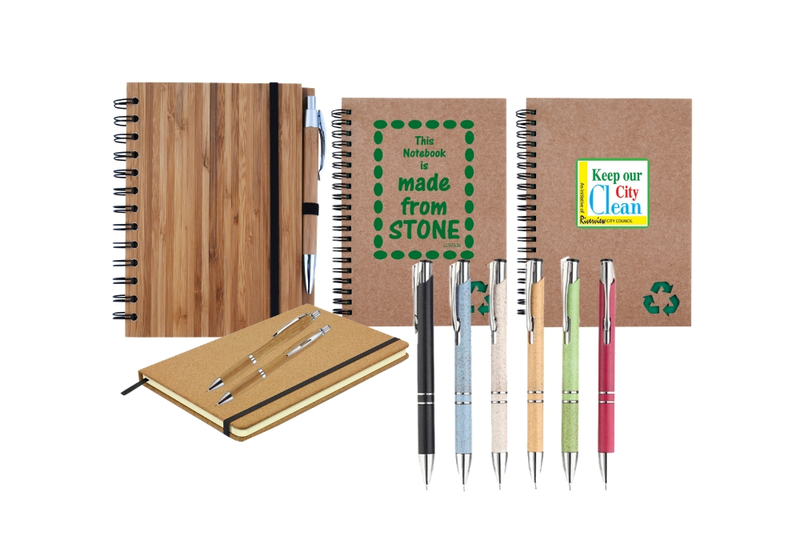 ORDER NOW FOR WORLD ENVIRONMENT DAY!